UrthBox, Inc., a San Francisco-based snack company, as well as its principal, Behnam Behrouzi, recently entered into a settlement agreement with the Federal Trade Commission in response to a draft complaint that challenged two of the company’s practices: providing free products as incentives to consumers in exchange for positive reviews on various websites (but without the reviews disclosing that the consumers received free products); and failing to inform consumers about the details of an automatic renewal program that followed its initial “free trial” period. The agreement (which is not yet final) includes a proposed consent order that would impose a $100,000 penalty and prohibit UrthBox from engaging in similar activities in the future. 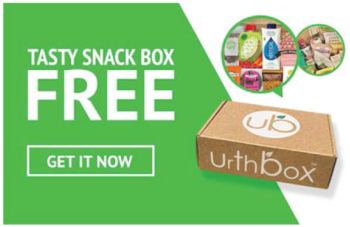 Between 2014 and 2017, UrthBox offered free products to consumers who posted positive reviews of its various snack boxes on social media websites like Twitter, Instagram, Tumblr, and Facebook. And for much of 2017, UrthBox made the same offer to consumers who agreed to post positive reviews on the Better Business Bureau’s website. The FTC’s draft complaint asserted that these programs violated the FTC Act because UrthBox pretended that the reviews were impartial. In addition, the FTC’s draft complaint targeted UrthBox’s automatic renewal program. From October 2016 to November 2017, the company advertised “free” trials of its snack boxes, initially charging consumers only for shipping and handling. But according to the FTC, UrthBox did not make clear how its automatic renewal program worked. And the program was very consumer-unfriendly: if consumers did not cancel their subscription in time, UrthBox would charge them for six months of subsequent snack box shipments—at from $77 to $269 per month. The draft complaint alleged that this was a violation of the FTC Act, as well as a violation of the Restore Online Shoppers Confidence Act (since UrthBox obtained consumers’ billing information but failed to get their informed consent before charging them for subsequent snack boxes). As part of its settlement with the FTC, UrthBox agreed both to pay a $100,000 penalty (which will be used to refund consumers affected by UrthBox’s challenged activities) and to change its conduct. In particular, the settlement agreement requires UrthBox, in the future, to clearly and conspicuously disclose any connection that it might have with any consumer who posts a review of its products or services. The purpose of this disclosure requirement, according to the FTC, is to ensure that consumers can recognize the difference between positive reviews posted by ordinary customers and those posted by people connected to the company. Additionally, the agreement gives UrthBox a choice about how to handle reviews that were previously posted: it may elect to leave a review posted as long as it is changed to clearly and conspicuously disclose any connection that exists between UrthBox and the consumer who posted the review, or it must do whatever it can to remove the review. Next, the settlement agreement prevents UrthBox from making misrepresentations in its marketing or sale efforts for any of its goods or services that include a time-sensitive opt-out feature like the one in its automatic renewal program. Also, UrthBox is required to disclose to all potential consumers specific details of any automatic renewal programs similar to the challenged program and to provide a simpler means to avoid charges associated with automatic renewals. The agreement similarly prohibits UrthBox from using billing information to get payments without getting express informed consent from the consumers being charged. The FTC formally accepted the settlement agreement with UrthBox and Behrouzi. The FTC published the agreement and proposed consent order in the Federal Register on April 9, 2019 and opened the order for public comment for 30 days. Comments must be received by May 9, 2019. At that point, the agreement and order will either be withdrawn or made final. Must Patent Applicants Pay for the PTO’s Attorneys in District Court?